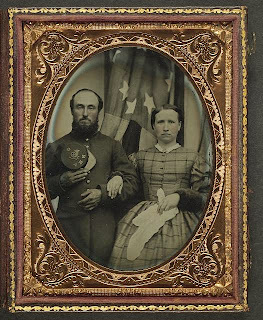 Are you interested in your family's history? If so, we have many resources to get your started in genealogical research, including books, found in the 929 section. There is also an online resource, Ancestry.com, which you can log into here at the Library. Other Library online resources include Newsbank's America's GenealogyBank and America's Obituary and Death Notices, which can be accessed in the Library and from your home computer (you will need your valid Nesmith Library card for account authentication). Additional resources links can be found on our website here. A little-known resource is In the First Person An Index of Letter, Diaries, Oral Histories and Personal Narratives. Stop by the Library to browse our genealogy sections (nonfiction or Reference). 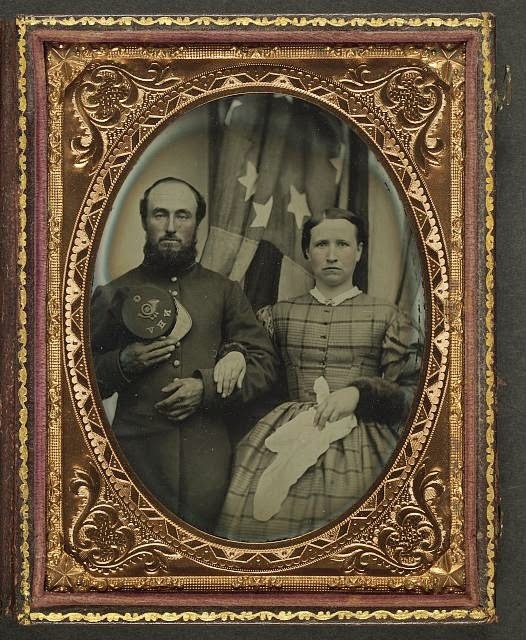 Photo of "unidentified soldier in Union frock coat holding Company G, 12th New Hampshire Infantry Regiment forage cap," courtesy Library of Congress. Poetry Friday--Happy Birthday Helen Keller! Helen Keller was born on this day in 1880. I don't believe she needs any introduction, except to say she was one remarkable woman! From The Collected Poems of Langston Hughes [811 HUG]. Today's Poetry Friday Round-Up is being held at Buffy's Blog. Enjoy your weekend! 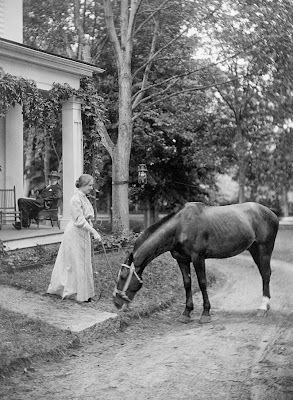 Photo courtesy Library of Congress. Although the bearded gentleman on the porch in the photo looks a lot like Walt Whitman, it's not. The photo is from 1907 and Whitman died in 1892. If you decide to plant your peach pit, look for The Fruit Gardener's Bible by Lewis Hill [634 HIL] to show you how. Now that the kids have been off for a few days, the novelty of a summer without school may be beginning to wear off. Here's where the Library comes in--tomorrow we have the 2014 Summer Reading Kick-Off Party. 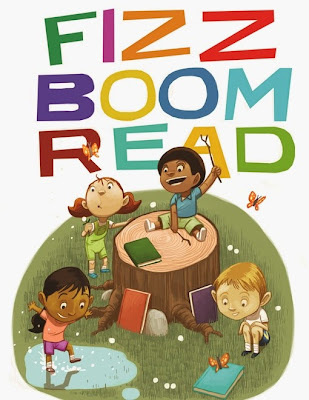 Between 1:00 and 3:00, kids can register for Summer Reading, make crafts, nibble on snacks, fill out raffle tickets, and enjoy the Toe Jam Puppet Band! No registration is required. The afternoon of activities is made possible through the sponsorship of our Friends of the Library of Windham [FLOW]. On Friday it the teens' turn for a Summer Reading Kick-Off Party. It will take place between 1:00 and 3:00 and will include mentalist, Christopher Bolter. Teens will have the opportunity to make their own ice cream sundaes! Participants can win door prizes and book bucks. No registration is required. This party, too, is generously sponsored by FLOW. At the Library, we like to encourage kids to read whatever interests them, however, if you child needs to read from an assigned list of titles, please be sure to bring the list with you when you visit. Although we try to order titles that the Library doesn't already own, in some cases, we are not given the lists until too late to receive them in a timely manner. 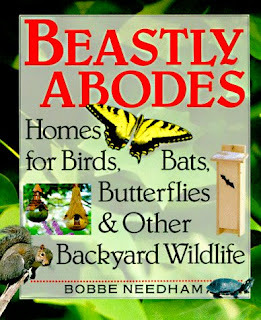 In addition to many field guides to birds, we also have materials that feature birdsongs and other bird communication. Okay, I admit it, I love the cat videos I've seen on Facebook. However, I more often come across information of real use. The other day a friend (not just a FB friend), posted a link to an article titled, "Why Put Stones in Your Bird Bath?". It was simple idea--by putting stones in the water, you could save the life of a water sodden baby bird. I guess it should be obvious, but sometimes simple truths are the ones that are hardest to discover. 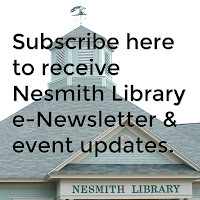 I also encourage you to "like" the Nesmith Library's Facebook pages, where we post links to information, and also to our events. Nesmith Library main page. Nesmith Library Toddlers page. Nesmith Library Teens page. Today's the last day of school! Summer's here in full force with sunshine streaming forth. Guess where I am? At the.....! Guess what happened? School is.....! You must answer Right or.....! Kids have a week to relax before the Summer Reading Program, Fizz Boom Read!, begins in earnest, so have some fun at the beach and sing a summer song! The Poetry Friday Round-Up is being hosted by Jone at Check It Out. We have the National Gallery in Washington, DC, which collects many artistic masterpieces. 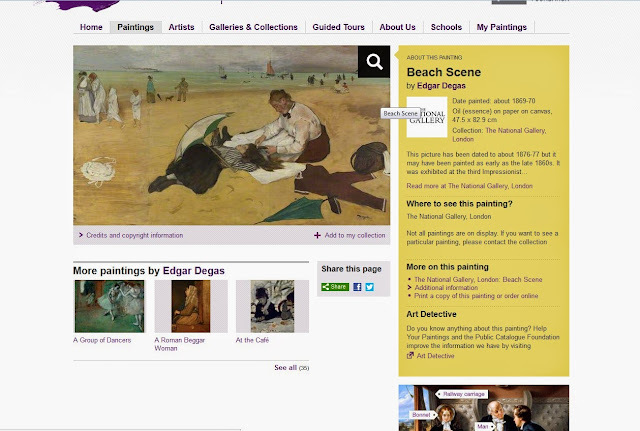 It's website is colorful and attractive, but I think the BBC website titled Your Paintings: Uncovering the Nation's Art Collections is heads above the NGA in its general appeal to public. It invites active engagement with the site visitor, which in turn leads to return visits. It also provides basic information about art with its Art Guide, an "easy-to-understand guide covers over 40 artistic styles and movements." One of the features on the Your Paintings site, is an opportunity for the public to contribute to "tagging" the art, for example, if you were to tag the photo below, you might label it with "beach," "sailboat," "umbrella," "swimmer," "hair care," etc. 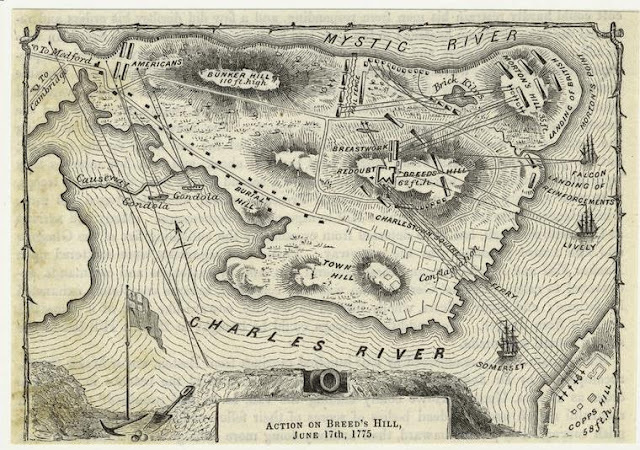 The Battle of Bunker Hill (also referred to as the Battle of Breed's Hill) took place June 16-17, 1775. As one of the first battles in the American Revolutionary War, it was the one that let the British know that the Americans were a force to be reckoned with. Massachusetts writer and historian, J. L. Bell has been posting over the past few days, at Boston 1775, about participants in the Battle. It makes for interesting reading. A history of the battle can be found in Nathaniel Philbrick's Bunker Hill: A City, a Siege, a Revolution [973.3312 PHI, AB/CD 973.3312 PHI, and 3M ebook]. 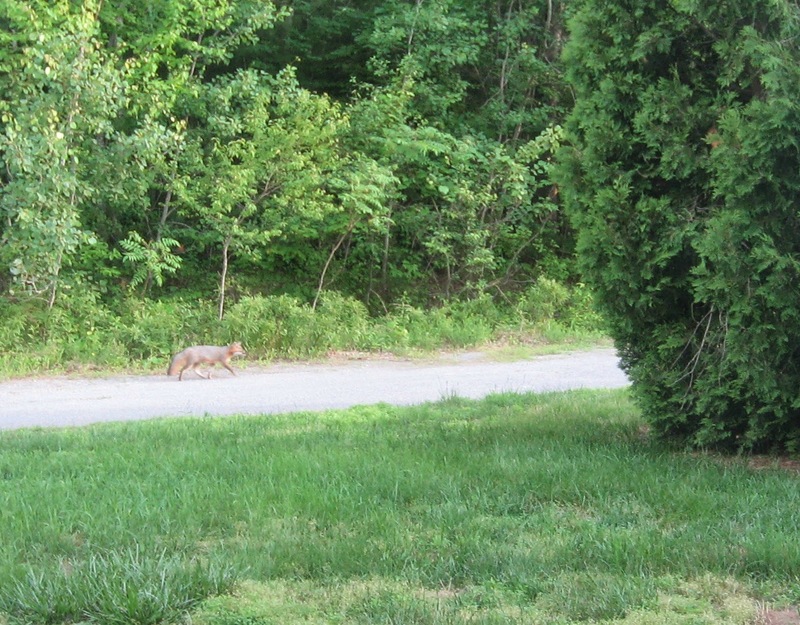 New Hampshire citizens played a role in the battle, too. Every NH 4th grader can probably tell you about John Stark and his participation. We have several items which cover NH's role, one of which is Frederic Kidder's History of the First New Hampshire Regiment in the War of the Revolution [and] Henry Moore Baker's New Hampshire at the Battle of Bunker Hill [973.3 KID], our facsimile edition was published in 1973. It has long been told that the powder and arms seized at Fort William and Mary in New Castle, NH, six months before, were used in the Battle of Bunker Hill. You can read more about the capture of the fort here. Map courtesy NYPL Digital Gallery. Look for informational titles about otters in J 599.769. On this day in 1884, the world's first roller coaster, built by LaMarcus Thompson, opened in Coney Island. For five cents a rider could get the thrill of a lifetime on the ride that was called the "Gravity Pleasure Switchback Railway." Roller coasters are vastly popular even today, as evidenced by the screams coming from Canobie Lake Park* on a summer's night! The Yankee Cannonball Coaster is an old-fashioned wooden coaster that has been at the park for decades. The ride requires that a rider be a minimum of 48" tall, and I'm willing to bet that for years now, children have considered reaching that height, and being able to take a ride on the coaster, as a right of passage. time as "forward" and time in the other galaxy as "backward." From Alive Together: New and Selected Poems [811.54 MUE]. The Poetry Friday Round-Up is being hosted today by Catherine Johnson. See you there! *Salem/Windham Appreciation Day, with $15 Admission for residents of these two towns, is Wednesday, July 9, 2014. Soccer rules in most nations around the world, just not, in the United States. That doesn't mean there aren't ardent soccer fans in this country who are interested in the World Cup! 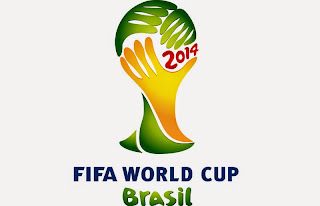 The World Cup games begin today and continue through to July 13. World Cup fever is running high, especially with those who have family and friends in other countries. Everything you need to know about the games is found on the official FIFA website. Google Maps has a special feature called Brazil's Painted Streets, which shows the Brazilian peoples' love for World Cup soccer that is expressed every four years in a special way! We have lots and lots of soccer-related materials on our shelves--everything from a kids' soccer dog story (You Lucky Dog by Matt Christopher [J CHR]) to DVDs on soccer skills training (Backyard Soccer Drills [DVD 796.334 BAC]). 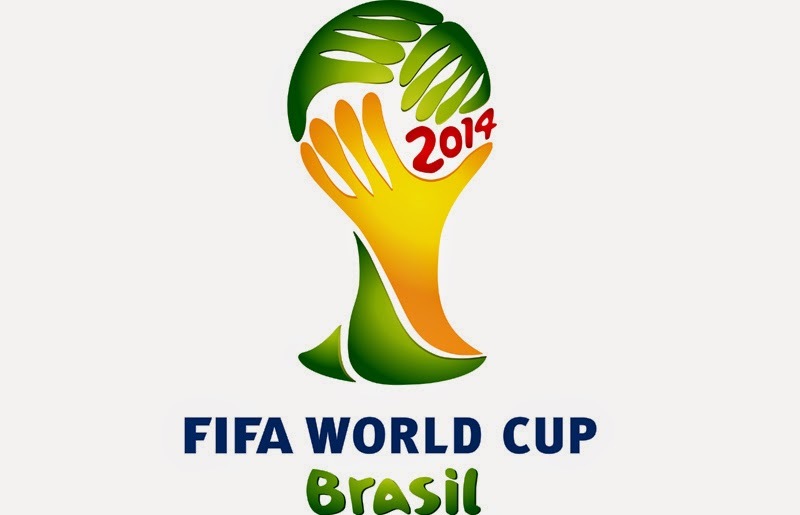 Logo from sportskeeda, which has it displayed as part of "FIFA World Cup--Official logos (1930-2022)". If you're a user of Facebook, you probably end up viewing a lot of baby animal videos, or reading stories that require 3 tissues to make it through to the end. On occasion, something comes through that actually makes you stop and think. One such post came through for me this week from Susan Cain is the author of the bestselling Quiet: The Power of Introverts in a World That Can't Stop Talking [155.232 CAI, also 3M ebook]. 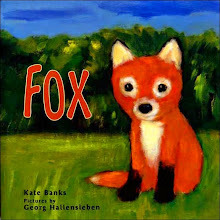 Cain talked about how teachers are learning that "quiet" kids are often more thoughtful than the hand-waving, "Me Me!" class sharer, and that insisting that all kids must be more active in class, may not be a good teaching strategy. 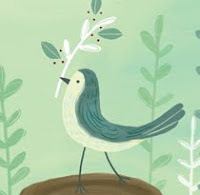 Look for her post of June 10 that begins, "Teachers at Greenwich Academy in Connecticut have incorporated the lessons of Quiet into their curriculum!" If you take your kids to the MFA to see the Little Dancer, look for Degas and the Little Dancer: A Story about Edgar Degas by Laurence Anholt [JP ANH], Marie in Fourth Position: The Story of Degas's "The Little Dancer" by Amy Littlesugar [JP LIT], or Degas and the Dance: The Painter and the Petits Rats, Perfecting Their Art by Susan Goldman Rubin [J 759.4 RUB] before you go. I read the book and it is well-written, thought provoking, and would make for a great book discussion group choice. Edgar Degas created the sculpture, La petite danseuse de quatorze ans (Little Fourteen-Year-Old Dancer) in the late 1800s. A bronze casting was made after 1921 and it resides today at the Museum of Fine Arts, Boston. Other materials include gauze, used in the tutu, and satin, which is the ribbon in the girl's hair. Recently, the Little Dancer was moved from where it was being shown as part of the "Boston Loves Impressionism" exhibition. The exhibit included 30 works voted upon by the people of Boston as their favorites out of 50 selected from the MFA's collection. The exhibit closed on May 26 and the Little Dancer was moved into the Sidney and Esther Rabb Gallery of European Impressionism, which reopened last Wednesday after being closed for renovation. Make it a point to borrow the Library's Museum Pass (donated to us by the Friends of the Library of Windham) and visit the Little Dancer where you'll see she's none the worse for her journey on a dolly! 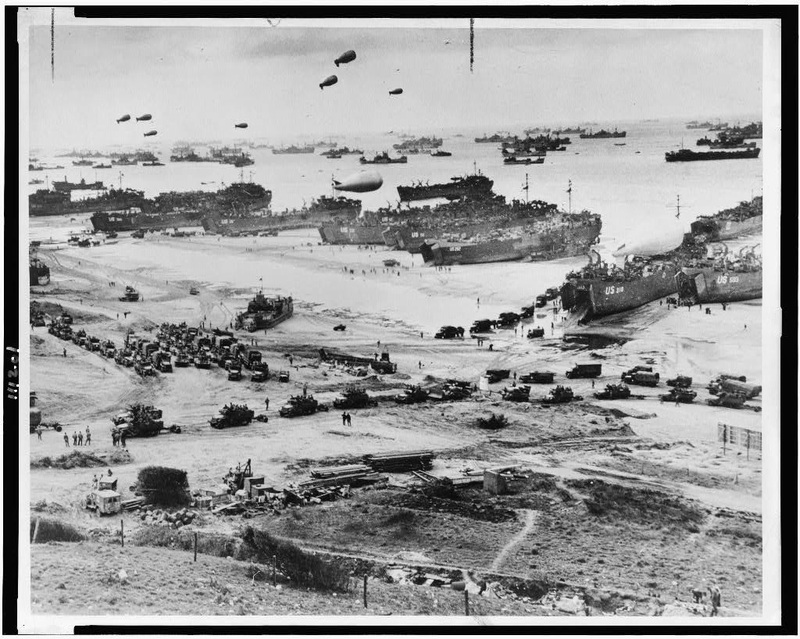 It's been 70 years since the invasion of Normandy, otherwise known as D-Day. War is cruel and hardest on the common man. For today, I'm sharing a poem from an anthology published in 1978, The Poetry Anthology, 1912-1977: Sixty-Five Years of America's Most Distinguished Verse Magazine [811.08 POE]. The poem is by Yvor Winters, a poet I wasn't familiar with. There's a brief biography here. It turns out that although I didn't know Winters, I do know of many he taught at Stanford University--Donald Hall, Thom Gunn, and Robert Pinsky among others. The dark blood of the folk. First published in Poetry magazine, December 1946. For the Poetry Friday Round-Up head over to Carol's Corner. 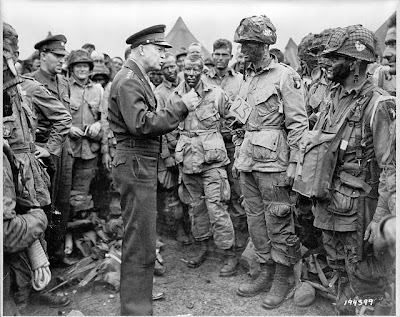 Caption: General Dwight D. Eisenhower gives the order of the day, "Full victory--nothing else" to paratroopers somewhere in England, just before they board their airplanes to participate in the first assault in the invasion of the continent of Europe. Date: June 5, 1944. Photo courtesy Library of Congress. Tomorrow is the 70th anniversary of the invasion of Normandy by Allied forces. Although novels and films focus on heroes and their feats, it is also good to remember the frontline soldiers and sailors, without them, the invasion could not have succeeded. There were many casualties--more than 9,000 Allied troops were killed or wounded--and for that we still mourn, even after 70 years. The campaign, like Gettysburg in the Civil War, has been written about and filmed extensively. Oops, this should have posted yesterday, but somehow it didn't, and a meeting yesterday morning took me away from the library, so I didn't catch it in time! Love her or hate her, there’s one thing about Oprah that can’t be denied—she is responsible for the ongoing interest in book discussion groups around the country. We have a number of book groups in Windham that meet in private homes, and there are at least two groups that meet at the Library each month. These groups all utilize the Library to find multiple copies of books for their participants. We are fortunate to be a part of the GMILCS consortium, with its dozen member libraries to help us fill requests. We’re also a part of the state of New Hampshire’s interlibrary loan program and through cooperative borrowing we can often fulfill book group requests. There is also another service in NH that is provided through the generosity of New Hampshire Library Association, NH public libraries, civic groups, and book clubs—READS-TO-GO. READS-TO-GO, overseen by a volunteer committee of librarians, provides book discussion kits containing 15 books and discussion questions, to libraries and book groups throughout New Hampshire. Books found in the kits have been vetted by the committee and are considered highly discussable. 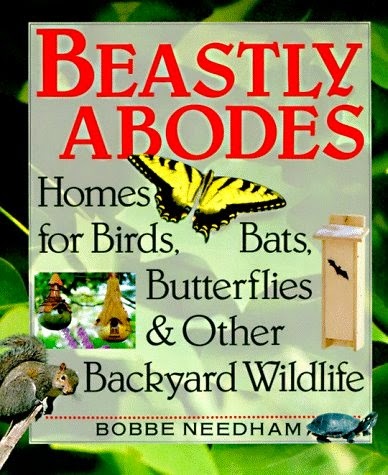 New kits contain recently published books that are in high demand. Kits from the service’s beginnings, back in 2007, may contain books that are no longer "hot," but are still very discussable. There are currently 125 titles to chose from! More information about READS-TO-GO can be found here . Kits may be reserved and borrowed by a Nesmith Library cardholder. Please contact the Library at 432-7154 and ask to speak with Lois Freeston. The READS-TO-GO site also contains discussion questions that are available for anyone to use. 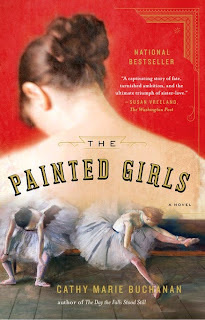 Good online sources for book discussion questions are LitLovers and Reading Group Guides. Links to other resources may be found on the READS-TO-GO site.